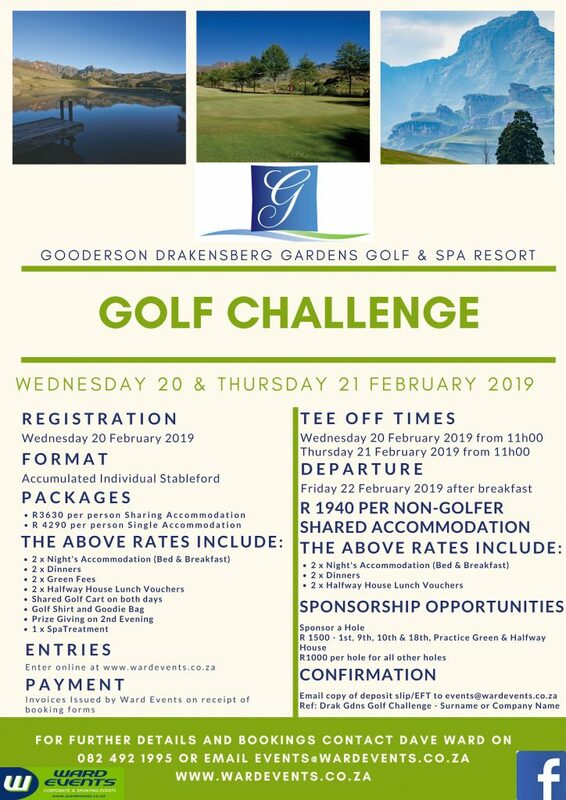 The 1st Annual Gooderson Drakensberg Gardens Golf Challenge will be taking place on Wednesday 20th and Thursday 21st February 2019. Booking can be made online through Ward Events. Please click on Online button below.